Vot ken you mach mobil is a project dedicated to the diversity of cultural identities for junior high schools in rural regions of Saxony and in Dresden. 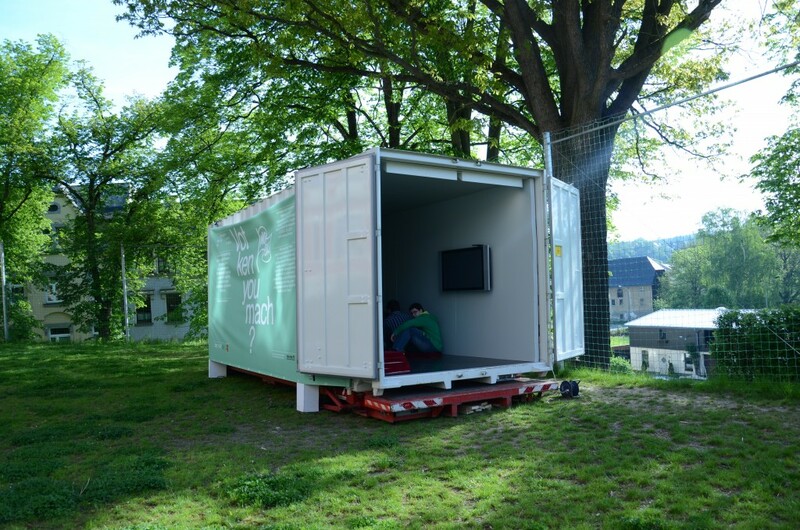 The mobile exhibition displays works by Amit Epstein, Shira Wachsmann and Claire Waffel in a container at the schools and offers pupils an exhibition visit followed by joint artistic work on the theme of identity in the frame of projects days. They are accompanied by different mentors, in Bautzen and Radibor by the artist Anna Schapiro, the dancer and choreographer Liron Dinovitz, the set designer Martina Lebert, and the communications research specialist and musician Lars Hiller. Vot ken you mach mobil was developed in the frame of the show Vot ken you mach? On Jewish Identities in Europe Today at Kunsthaus Dresden in cooperation with the Jewish Community Dresden, Hatikva e. V., and the junior professorship for art and art education of the TU Dresden for junior high schools and high schools in Saxony. The central concern is to convey to pupils positive approaches to the diversity of cultural identities in our society. Based on the example of Jewish identity and works by young Jewish artists, it is shown how identity changes in a modern society, how many different influences have an impact on our cultural self-understanding, and what role history, remembrance, the context in which one grows up, religion, the affiliation to a language area, and also current influences from the media and pop culture play in this regard. The project day consists in viewing the mobile exhibition, the joint evaluation of what has been seen during the first half of the school day, and joint practice-oriented artistic work during the second half. Based on examples in the exhibition, own approaches to the theme of identity, of who I am and who I would like to be, are developed and tested in a playful way. Various contemporary means of expression and documentation (photo, film, video, and sound recording) are used under guidance. 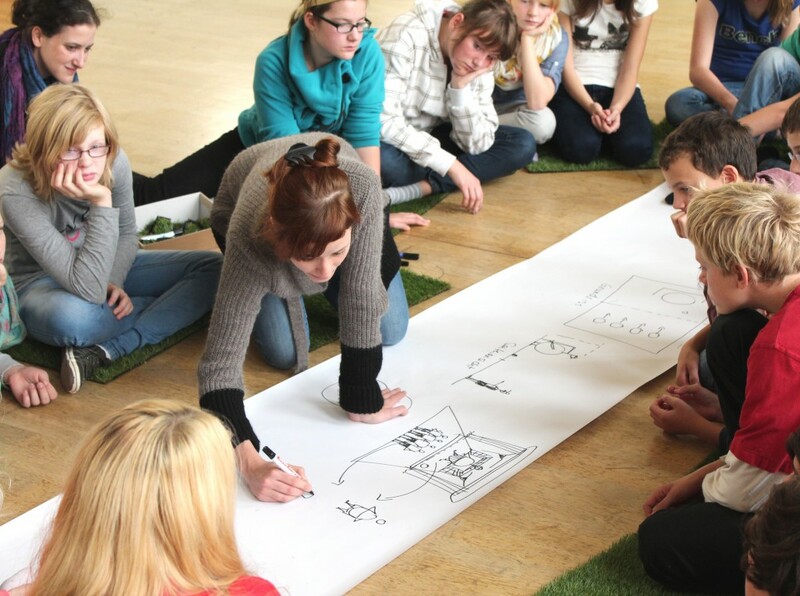 The results of the pupils will be exhibited in spring of 2014 after the project work at school and also in the frame of the project at Kunsthaus Dresden. Vot ken you mach mobil is a project dedicated to cultural education initiated by Kunsthaus Dresden – Municipal Gallery for Contemporary Art in cooperation with the Jewish Community Dresden, the Hatikva e. V., and the junior professorship of art and art education with a main focus on new media at the Institute of Art and Music Studies of the TU Dresden for junior high schools and high schools in Saxony. It is supported in the frame of the state program Weltoffenes Sachsen für Demokratie und Toleranz (Cosmopolitan Saxony for Democracy and Tolerance).